AI-nProtect ™can be applied on both Painted Surfaces (Alkyd, Polyurethane, Epoxy, Polyester, Acrylic, Latex, Powder Coat, E-coat, Gel Coat) and Metals (Mild Steel, Stainless Steel, Aluminium, Copper, Brass) to extend asset life. Our nanocoating is a protective top-coat that is clear and is applied onto the painted surface. For clients that want the entire system (Primer, Colour and Protective Top-Coat) we offer a customised solution as per their performance requirements. •AI-nProtect ™ is designed to adhereto freshly coated surfaces as wet-on-wet application onto other coating systems, when adequate time is provided for solvents to escape between coats. AdMat Innovations Pvt. Ltd. is a Mumbai (India) based company which manufactures high performance Nano-coatings for the transportation, marine, heavy machinery, automotive and construction industries. Founded a couple of years back by IIT-Bombay graduates, the company operates as a trustworthy Manufacturer, Exporter, Service Provider and Supplier of Nano Coatings. Besides this, the company also caries out Contract Research and Development for organizations in both India and Abroad. Our highly durable Nano Coatings provide beautiful aesthetics, extreme protection from physical/chemical/environmental attacks and lower asset maintenance while being very easy to apply. The Coatings have the ability to work on diverse surfaces like metals, stone, polymers and wood. AdMat Innovations is backed by a team of surface engineers who help produce top quality nanotechnology based coating systems. To meet the specified requirements of the clients, we provide them tailored and innovative coating solutions. AdMat Innovations specializes in the research, development and manufacturing of first-to-market nano-coatings with multi-functional properties. Our nano-coatings were specifically designed to restore, enhance and extend the lifecycle of important surfaces. AdMat's mission is to develop first-to-market nano-coatings with multi-functional properties including; extreme scratch resistance, UV and chemical resistance, remarkable flexibility and self-cleaning properties. 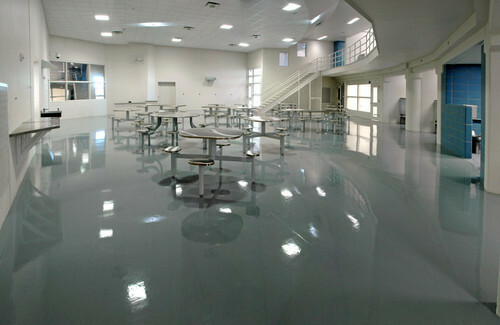 AdMat's Nanotechnology based Coating Systems Maintain Surface Integrity for over 10 years, while Drastically Reducing Maintenance Costs over Surface Lifetime.